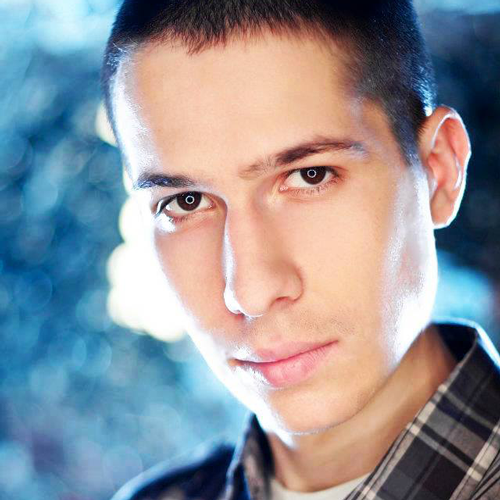 Vid Marjanovic (1989) is a DJ and producer from Belgrade, Serbia. In his DJ sets you can hear many different kind of styles, it is a smooth mixture of Techno, Progressive House, Minimal, Tech-House, Deep House, Dub Techno, Psychedelic, BreakBeat & Jazz sounds. After being involved into psy/progressive trance scene as a DJ & Promoter from 2007-2009, at the end of year 2009 he decided to put his focus only into music production. At that period of time he was mostly influenced by artists like: Kraftwerk, Jean Michelle Jarre, Moby, Ott, The Chemical Brothers, The Prodigy, Dusty Kid, The Crystal Method, Laurent Garnier, Trentemoller, Extrawelt, Maetrik, Juno Reactor, Hallucinogen, Younger Brother, Minilogue etc. So far, Vid has released his music for different major labels such as: IAMT (label by Spartaque), Renesanz (Balthazar & Jackrock label), Sabotage rec. (label by Christian Cambas), Italo Business rec. (label by Piatto, Dandi & Ugo), Neurotraxx (label by Sisko Electrofanatik), Freshin (label by Da Fresh), Butane rec. (label by Matt Minimal), Miniaturesrec (Phunk Investigation label), Mirabilis (Alex & Filip label), Crossfade Sounds/3rd Avenue (Dominique Heyninck labels), Strict recordings (label by Louie Cut), Selected records (Gabriel D'Or & Bordoy label), Tech-It (Konstantin Yoodza label), etc. Vid so far shared decks with artists like: Der Dritte Raum, Alan Fitzpatrick, Petar Dundov, Ness, Tomas Barfod, Perfect Stranger, Mary Velo, Moerbeck, Morten Granau, Gabriel D'Or & Bordoy, Johannes Heil, Reaky, Andromeda, Christian Rutz, Olderic, G-Tronic, Alex Piccini, F.Sonik, Altom, Chromosome, Allaby, Shane Berry, Vladimir Acic, Scalameriya, Matt Keyl, Jan Nemecek, Lea Dobricic, Antrax, Kobaya, Pion, Float, Fletric, Rub A Dub, Fabian Jakopetz, Bongo & Pusk, Kristina Lalic, Alex Nemec (Alex & Filip), Reinier Zonneveld, Concrete DJs, Vertex, Boza Podunavac, etc. He was remixed by artists like: Angy Kore, Hugo Ibarra, Uvo, Float, Kieran J, Alen Milivojevic, Afonso Maia, Ruzhynski, Lea Dobricic, Mancha, etc. He worked on remix for artists like: Matt Minimal, Maverickz, Andy Mart, Josh Bartoli, Bismark, DJ Jock, Bagagee Viphex13, A.Skomoroh, Fabian Jakopetz, Cactus Twisters, Forest People, Noisedock, John Deere, etc. Vid performed at almost all important underground clubs in Serbia, we will name the few: The Tube (Belgrade), XlagooM (Belgrade), Compressor (Novi Sad), KC Grad (Belgrade), Magacin Depo (Belgrade), Mamolo (Belgrade), Namaste (Beograd), Studio 69 (Belgrade), Amnesia (Novi Sad), Batler-Francuska Sobarica (Beograd), Umetnicki Kutak (Kragujevac), Contra Club (Uzice), etc. In 2012, Vid had his first international performances at Denmark (KB18, Copenhagen), Slovenia (Neboticnik Skyscraper, Ljubljana), Switzerland (Club Stairs), Bulgaria (Club Lifehouse, Sofia), and he also had more international performances during 2013/2014 at Germany (Club Rheingold, Dusseldorf), Romania (Club Tequila, Brasov), Slovenia (Club Monokel, Ljubljana), Denmark (KB18, Copenhagen), Croatia (F-Club, Zagreb), Netherlands (Barkode, Amsterdam), etc. Last big event where he performed b2b with Float, as opening set for legendary Der Dritte Raum, was at KPGT, Belgrade (04.04.2014) in front of 2000 people. Currently he is working hard in his studio at Belgrade on his new tracks, remixes, full length album, and his new downtempo project called ''Ariva''. Nuendo is a Sydney based music producer who made a name by winning multiple remix contests back in 2012. Since then, he has had many successful releases capturing the essence of true house music. In particular, his track “Stars” reached no.54 on the beatport chillout charts and has featured on many club and radio charts internationally. Gaining this recognition has inspired Nuendo to take the world by storm and provide his listeners with music that will take them on an incredible journey!